According to Dispatch, WINNER sang hits like "EVERYDAY" and "Empty", asked concertgoers questions, and gave out autographed albums. The issue occurred when the group members were choosing which audience members would receive autographed CDs. While the members were discussing how to pick lucky students, Song Min Ho�looked at his underwear and suggested, "Underwear? Underwear color? Let's pick the person who's wearing underwear with the same color as me." Some netizens are also criticizing another comment WINNER made about Seoul University's students. 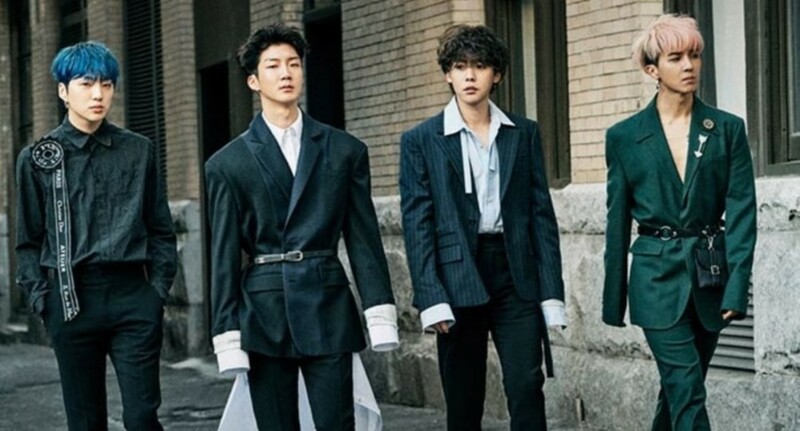 As the school is known as the top university in South Korea, the students hold a reputation for being especially studious.�WINNER commented on the audience, "Since you're all so good at studying, we thought you wouldn't be able to party, but it seems you're good at partying and studying. "�However, other concertgoers are stating the crowd cheered after WINNER's comment about the students and took it as a compliment.